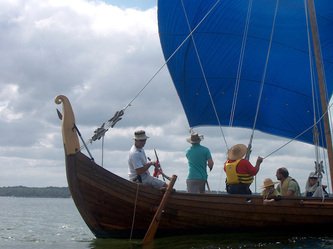 Do come sail with us! 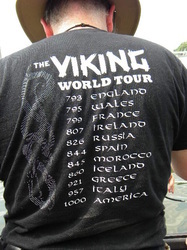 "Viking" is both a noun (the occasional Norseman who left his farm and family...) and a verb (...and went a-viking). They were the pirates, or perhaps, privateers, of the 8th to 11th centuries. 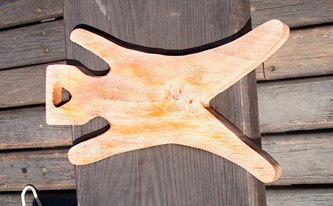 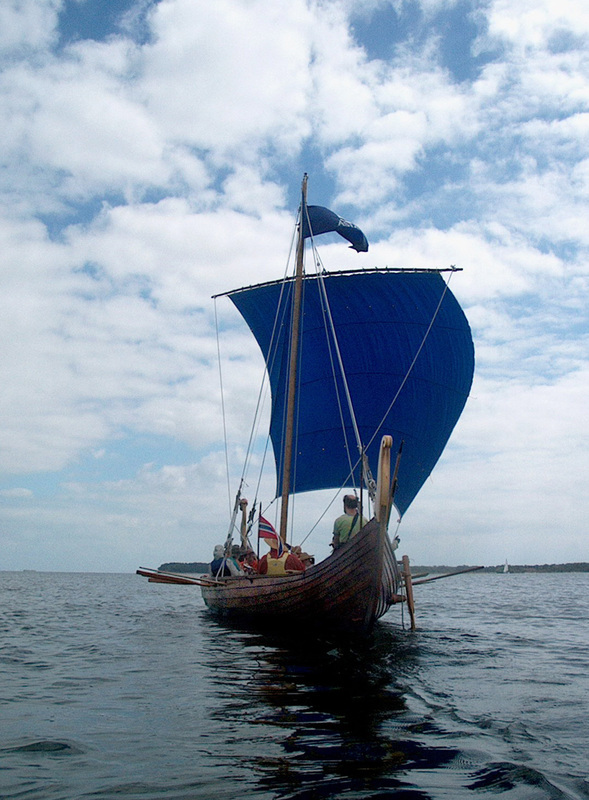 Their ships were the jet fighters of the time period, and they were the first Europeans to sail out of sight of land. 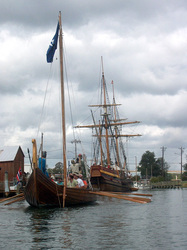 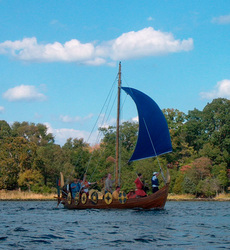 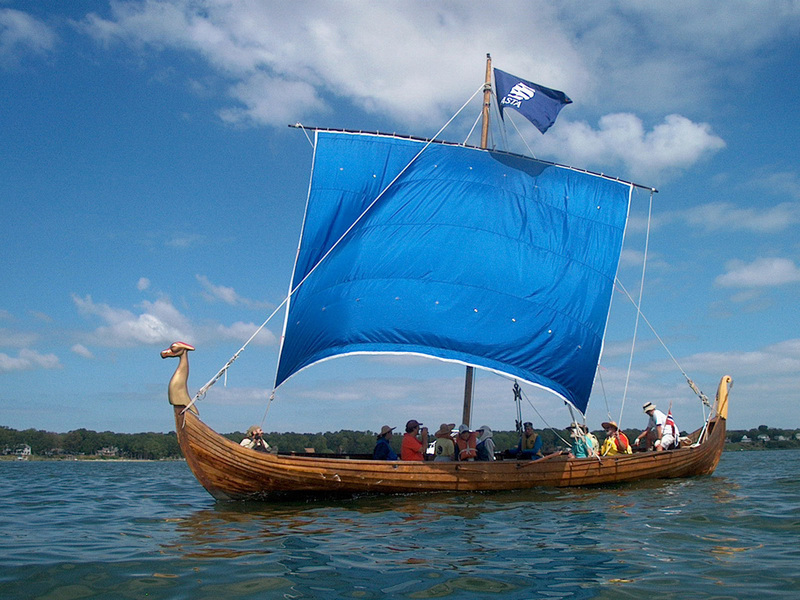 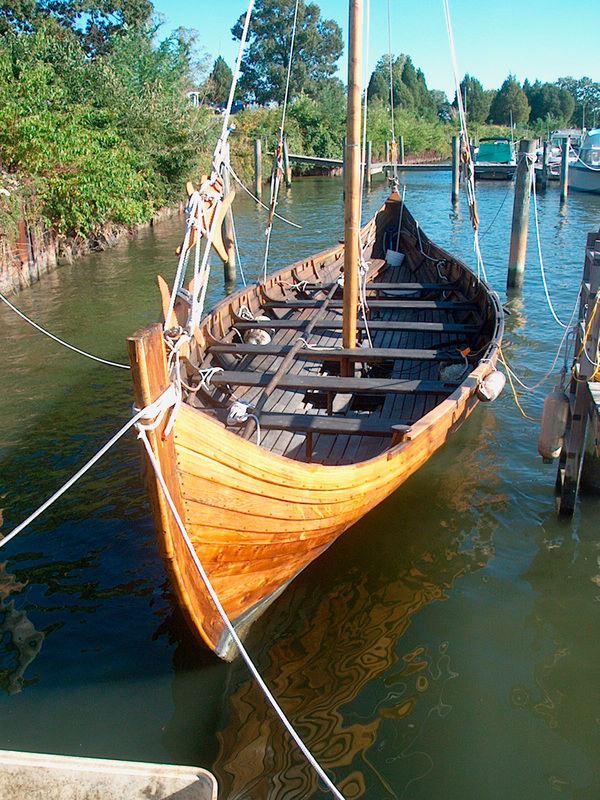 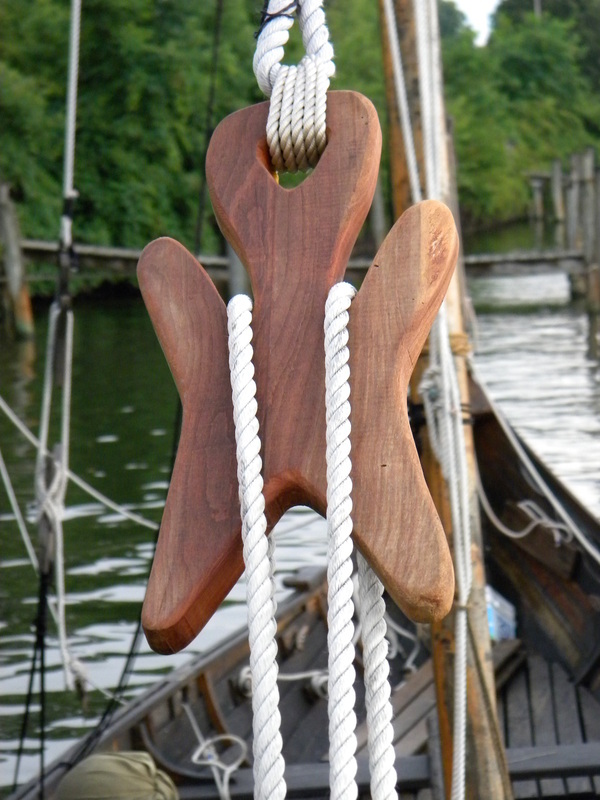 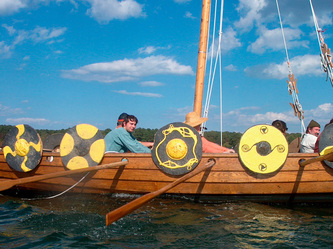 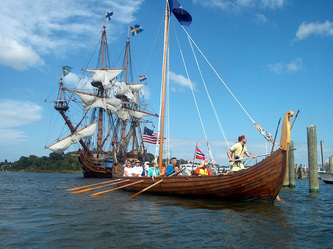 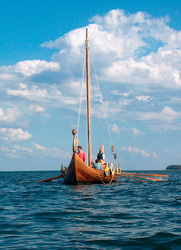 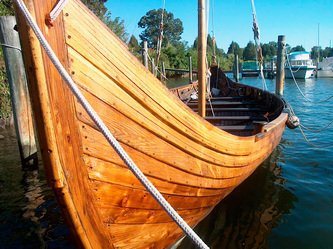 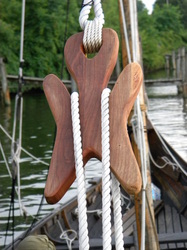 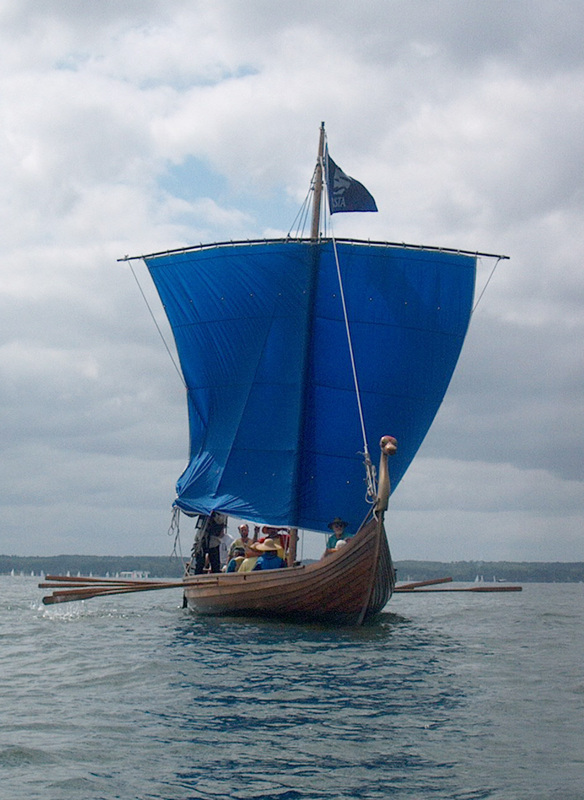 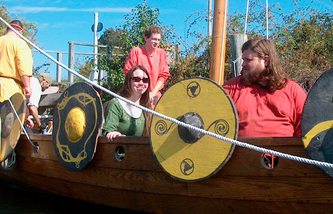 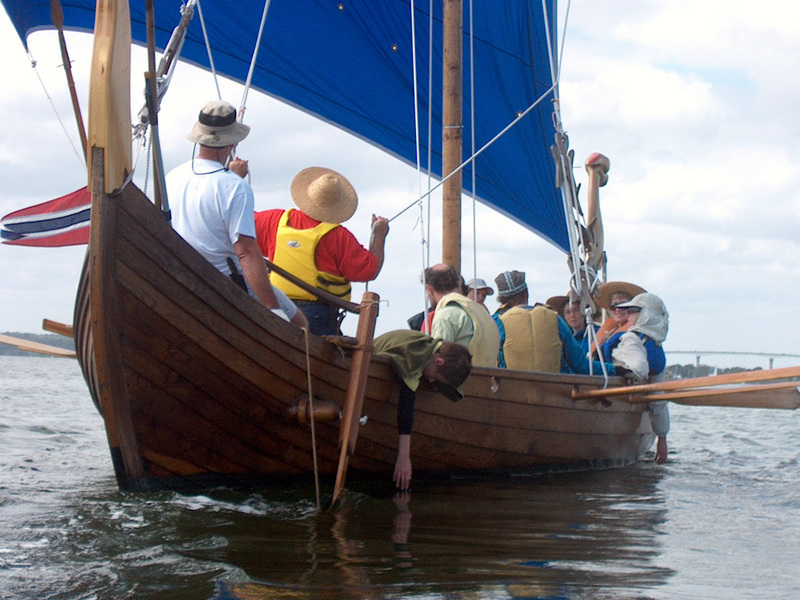 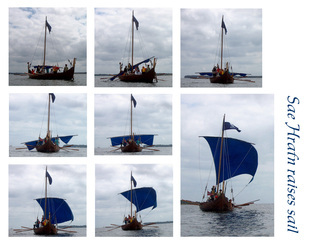 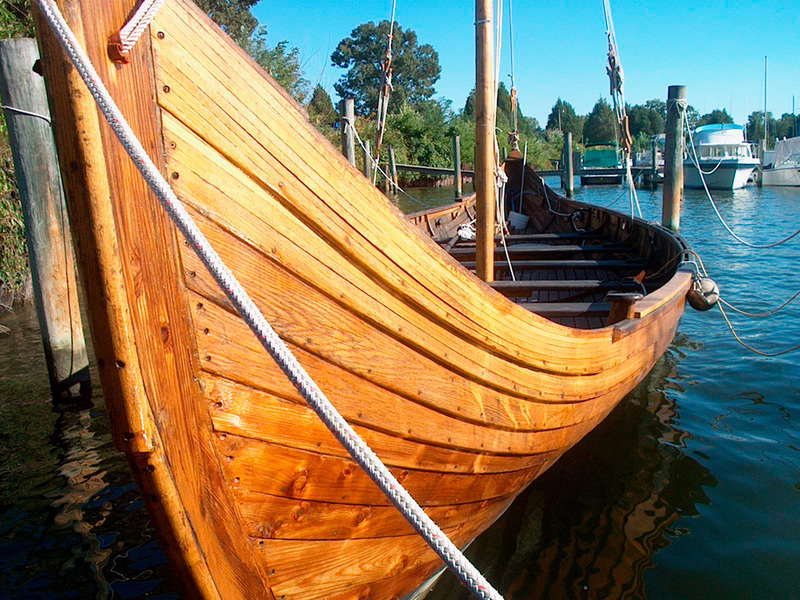 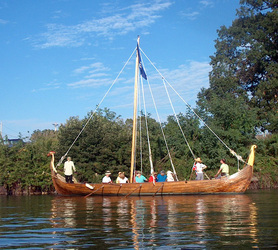 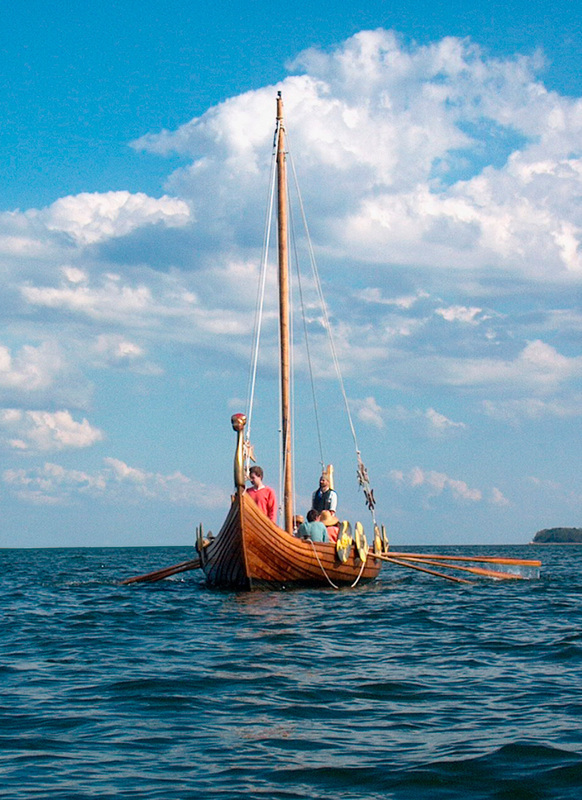 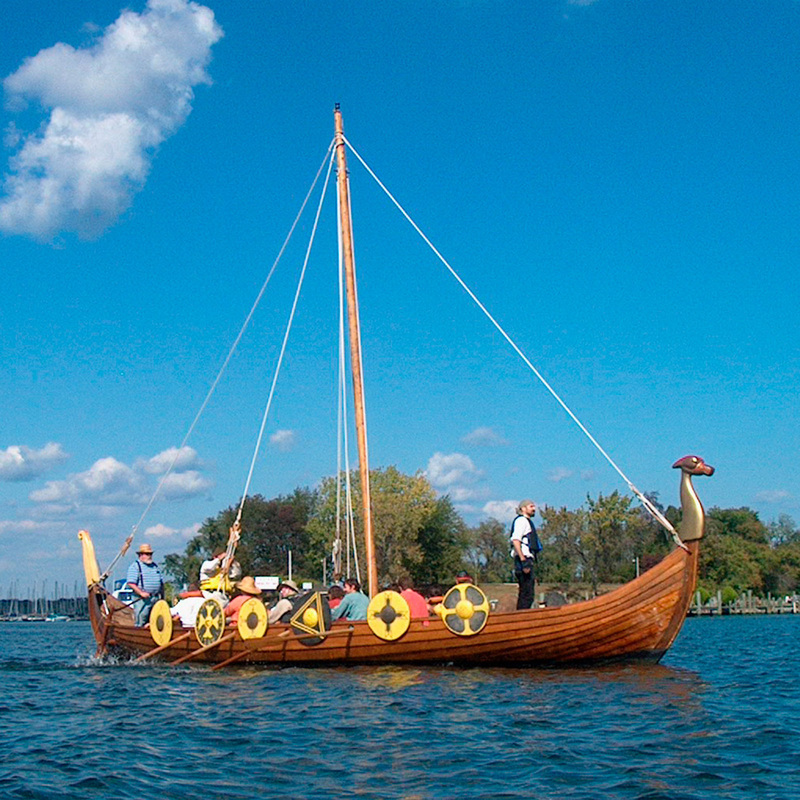 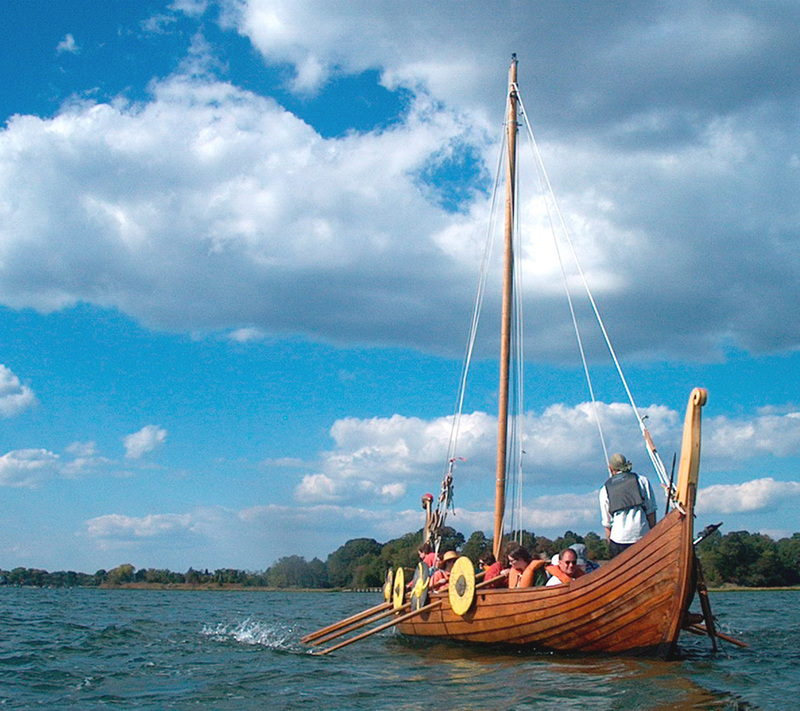 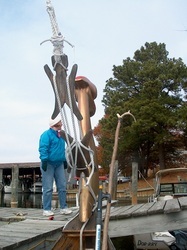 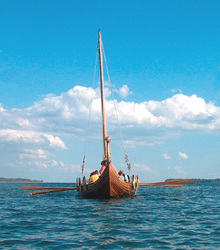 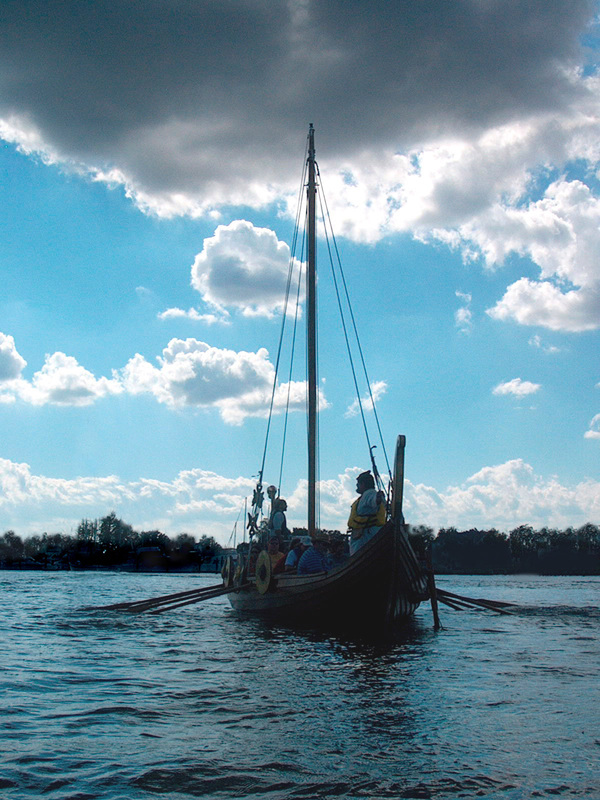 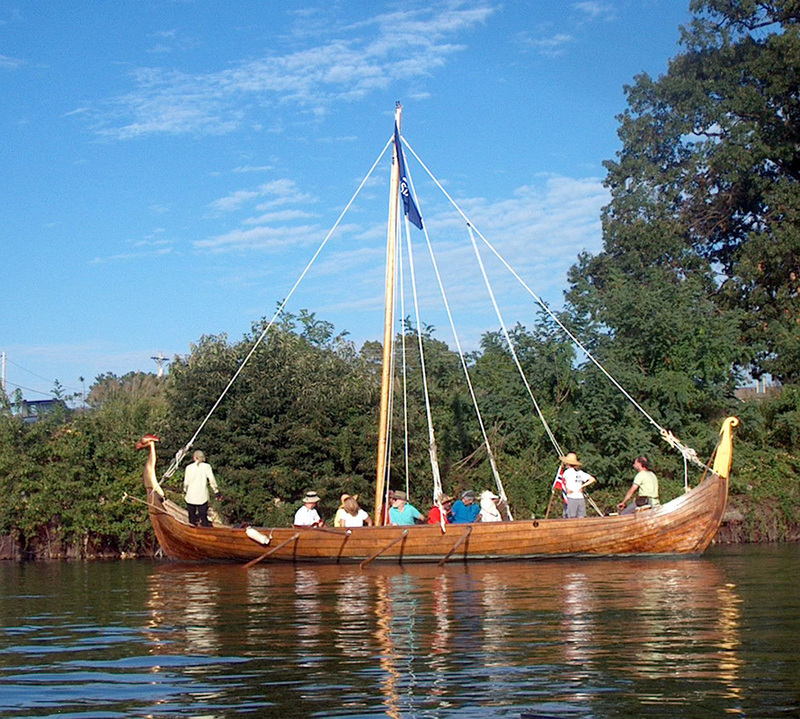 Sae Hrafn is the latest in a line of Viking ships owned by the Longship Company of Solomon's Island, Maryland. 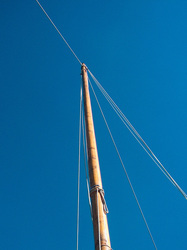 She's not quite forty feet long, has one mast and a square rigged sail (making her, technically, a class A "tall ship"(all square rigged vessels and anything over 40m), Here, you can see her steerboard, on the starboard side (steerboard/starboard, yes there's a connection); this was before the age of the rudder. 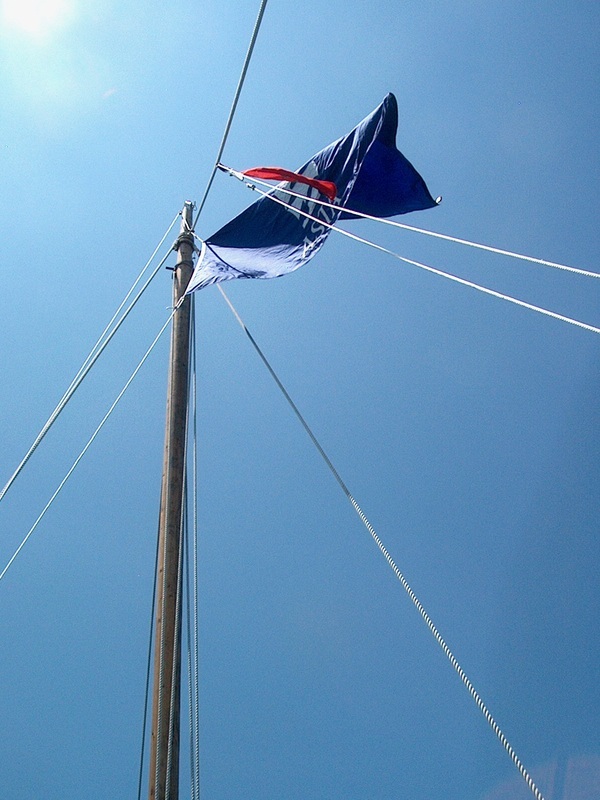 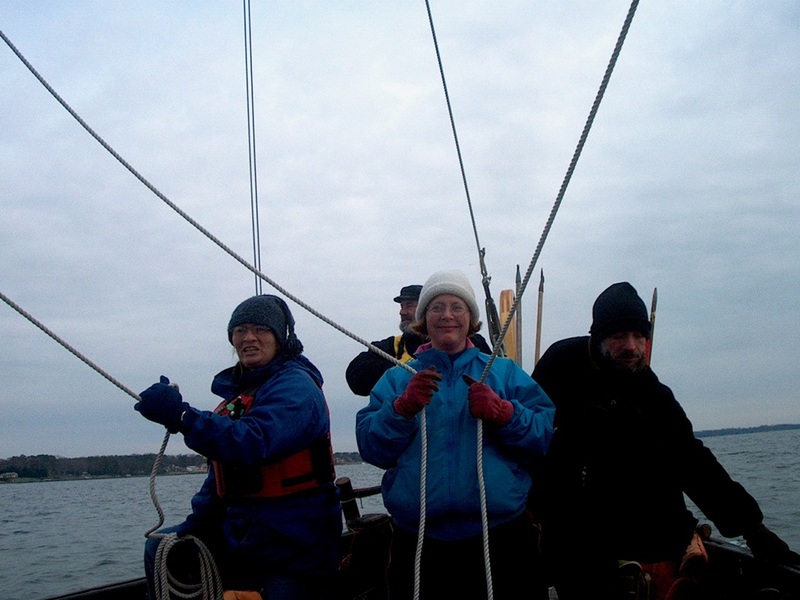 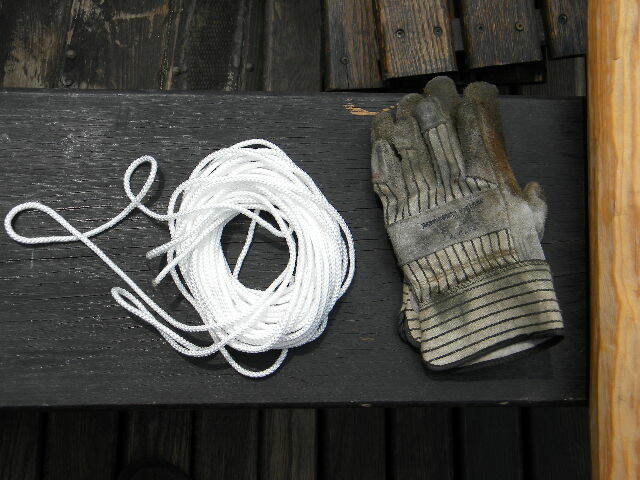 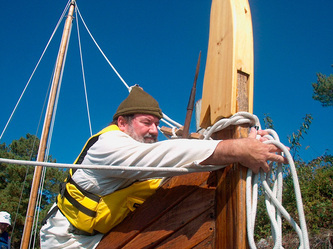 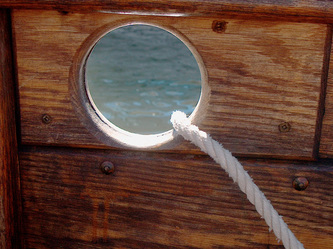 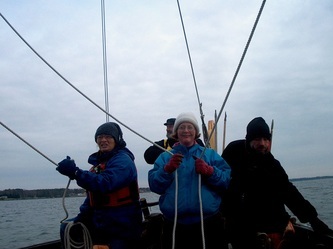 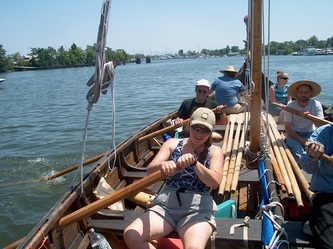 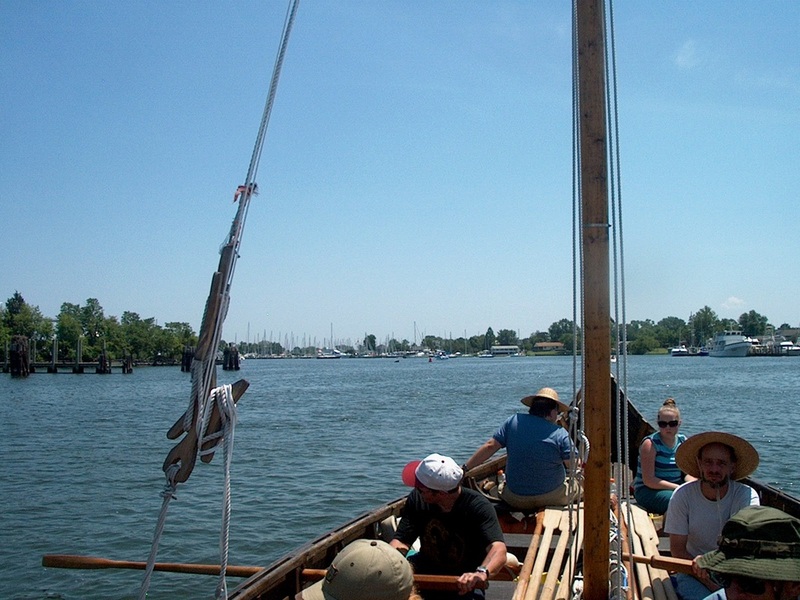 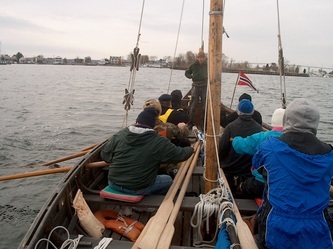 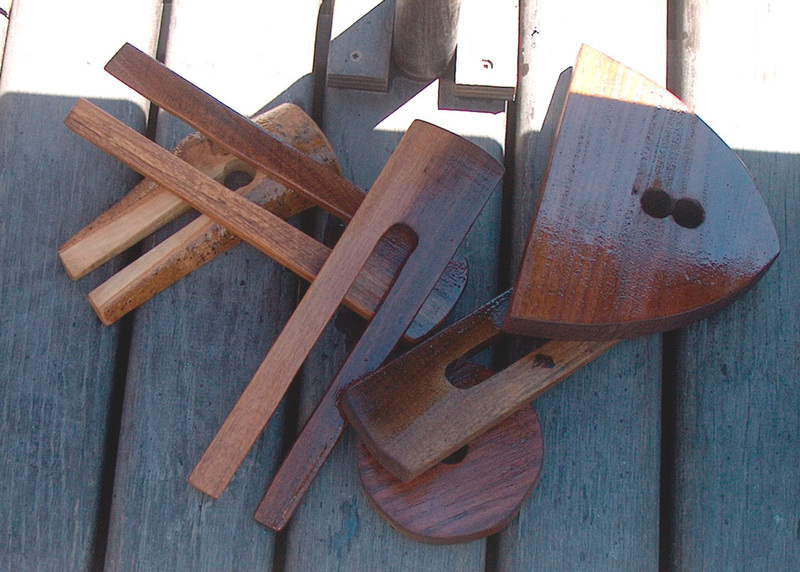 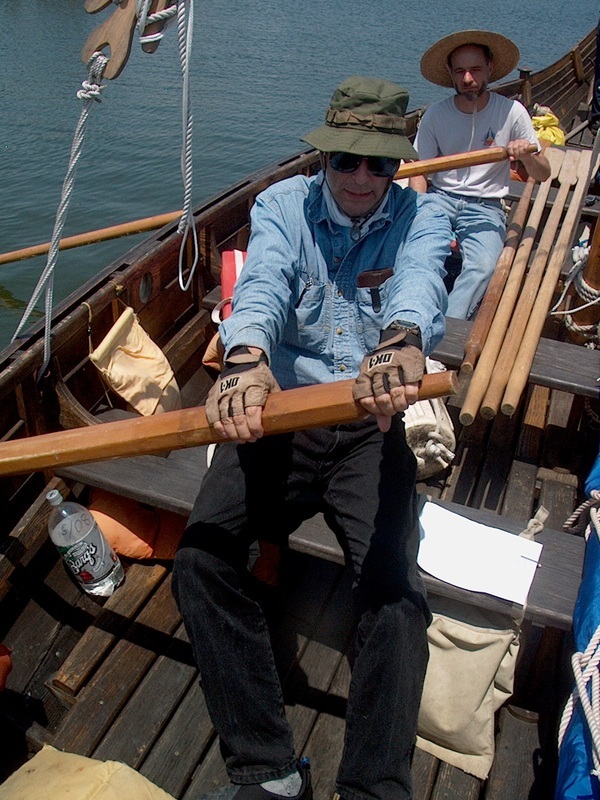 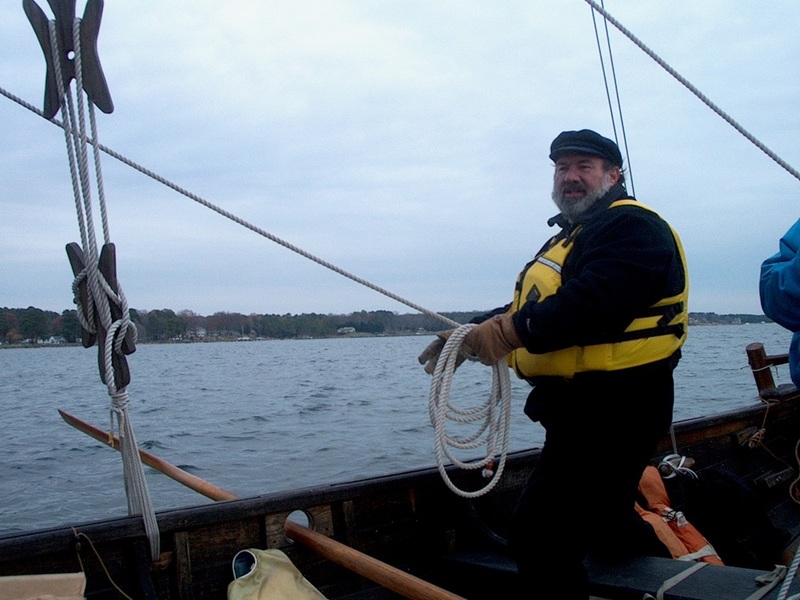 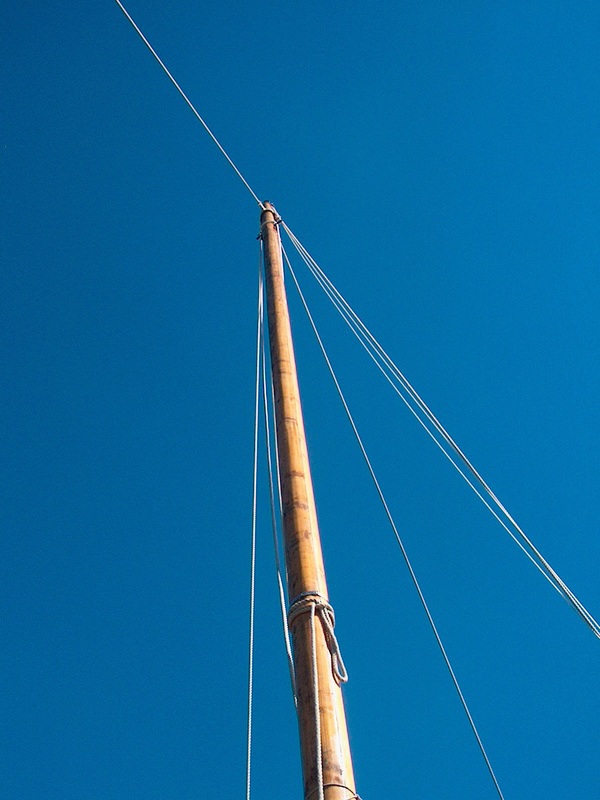 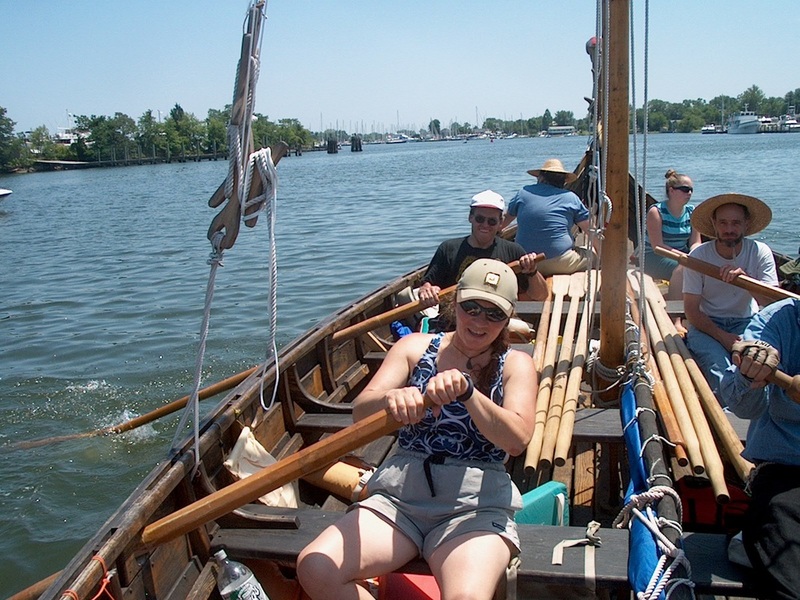 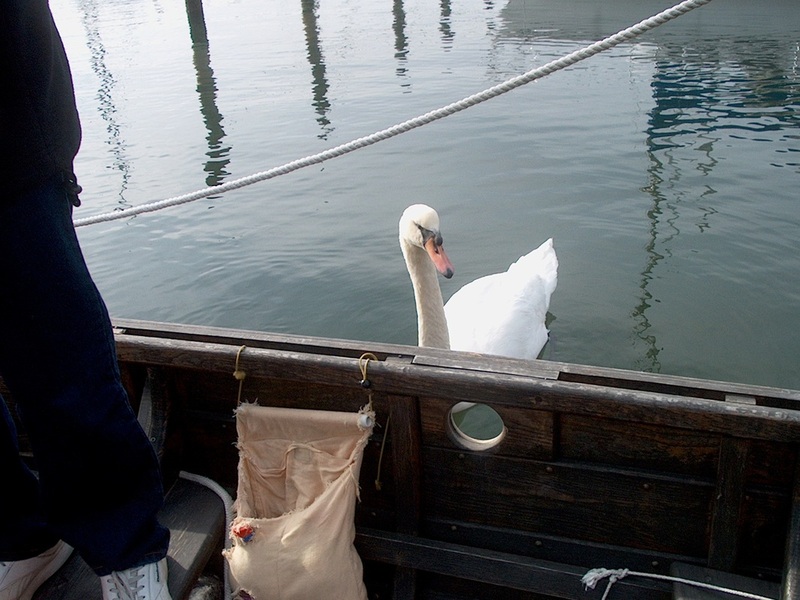 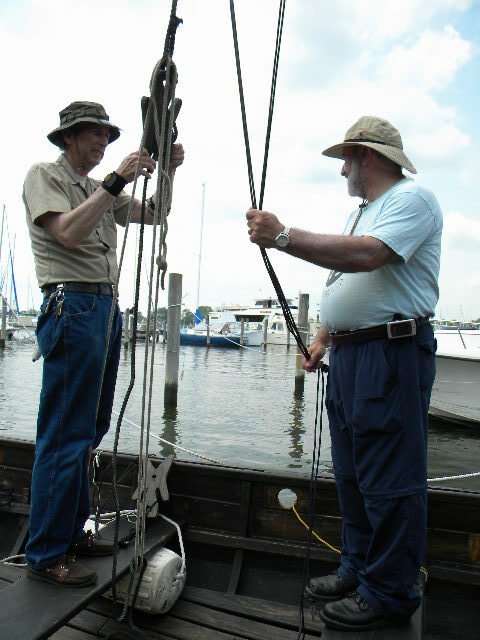 The steerboard is turned by a tiller, the yard (holding the sail) is managed by one crewperson on the braces, and usually one crewperson holds each sheet (the lines to the corners of the sail). 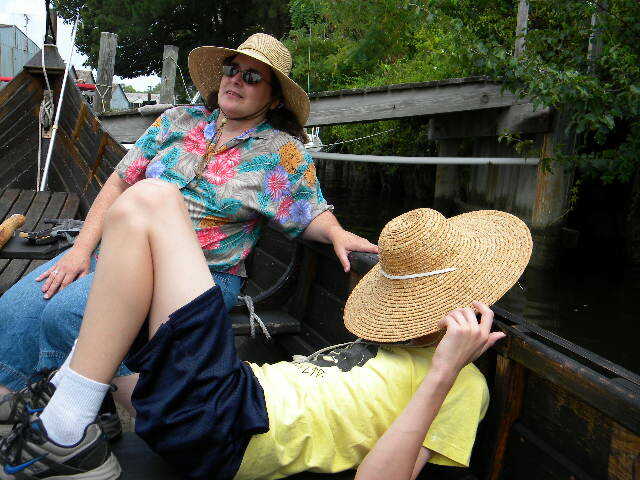 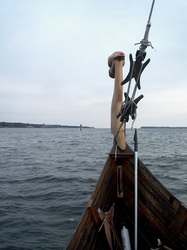 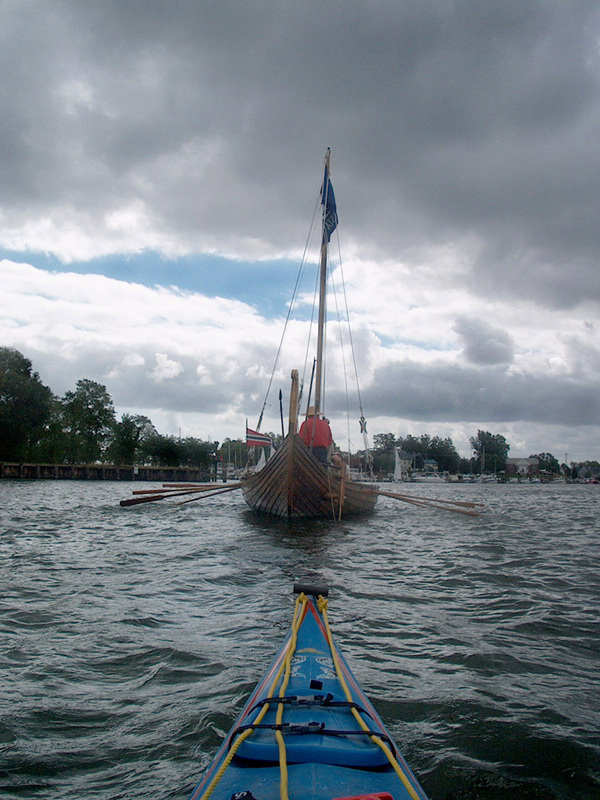 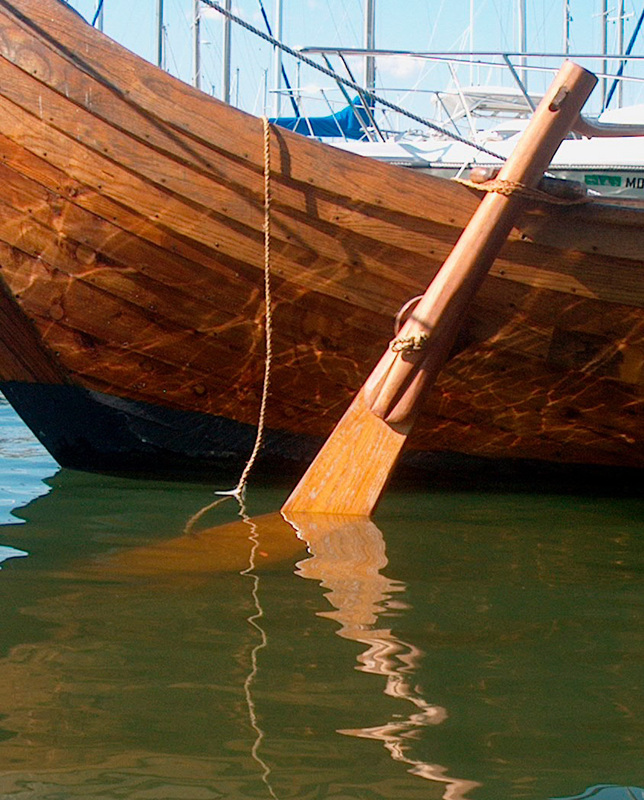 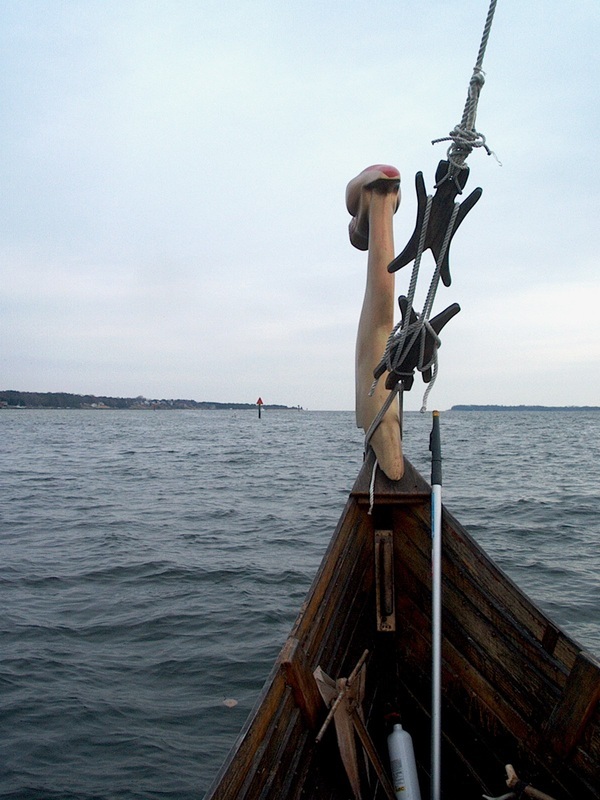 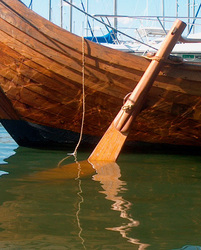 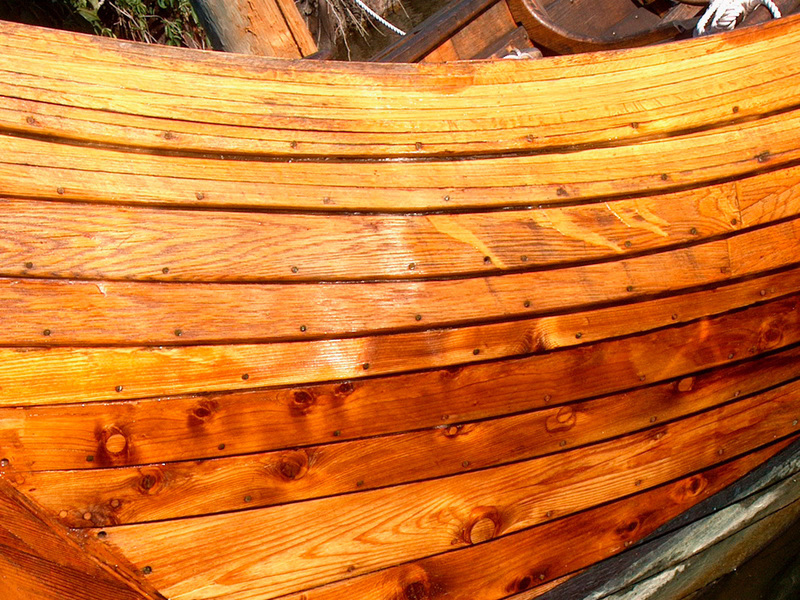 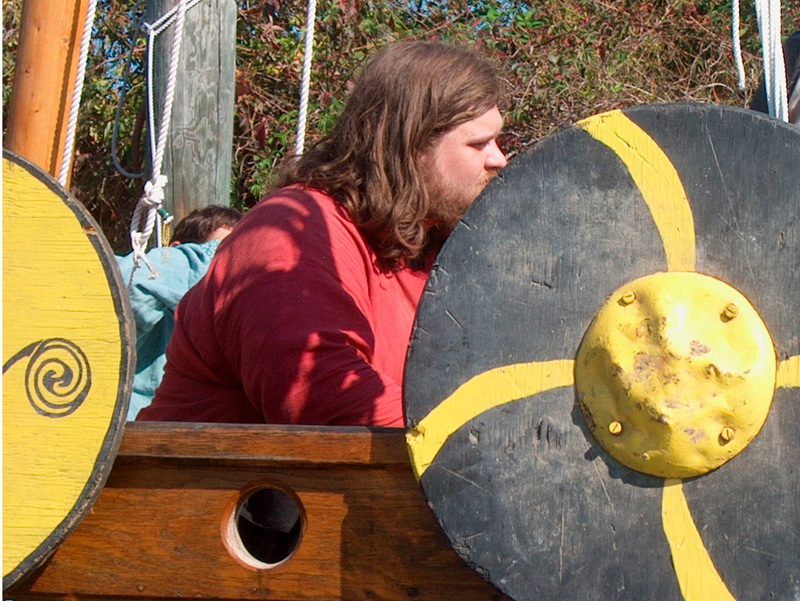 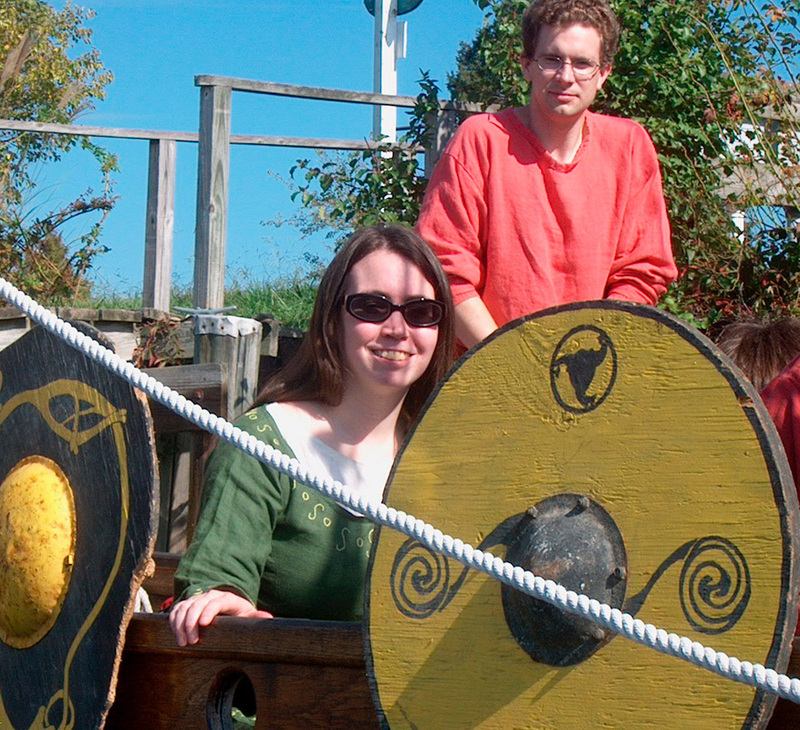 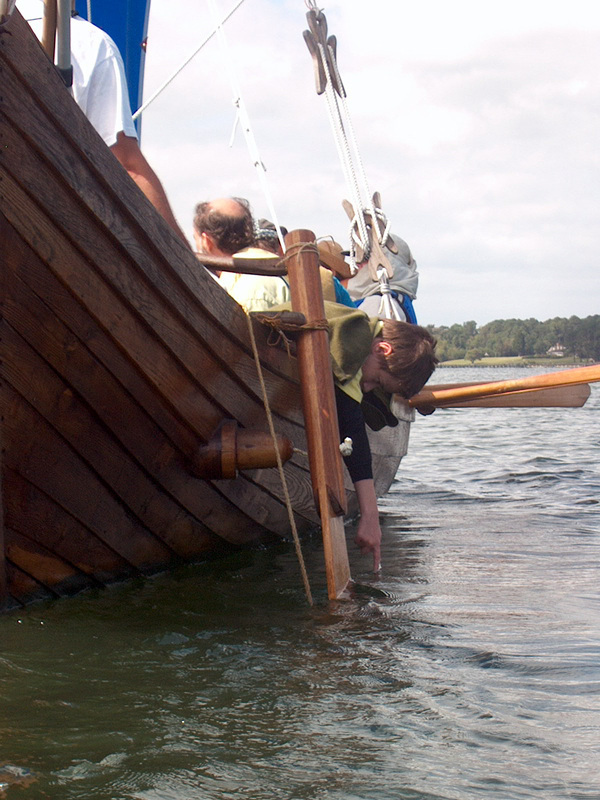 Our "backup engine" is a number of 14 ft. oars (there's no way to put an engine in a Viking ship). 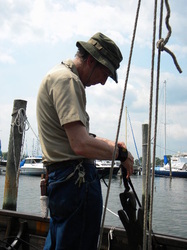 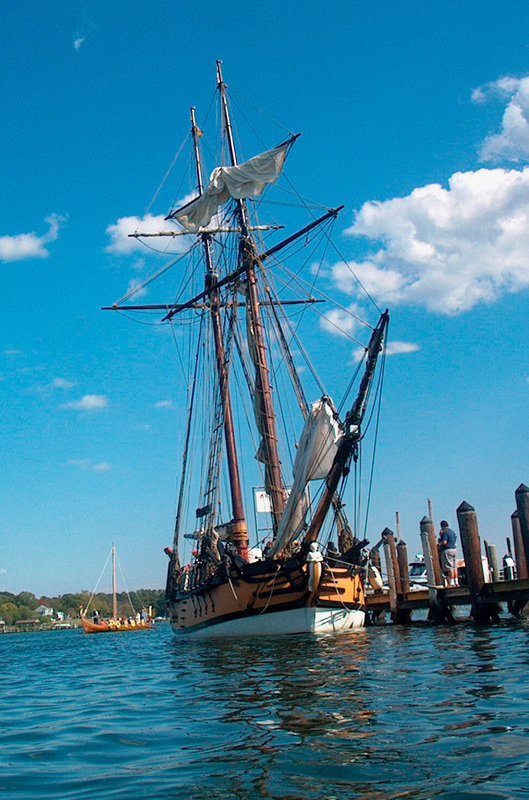 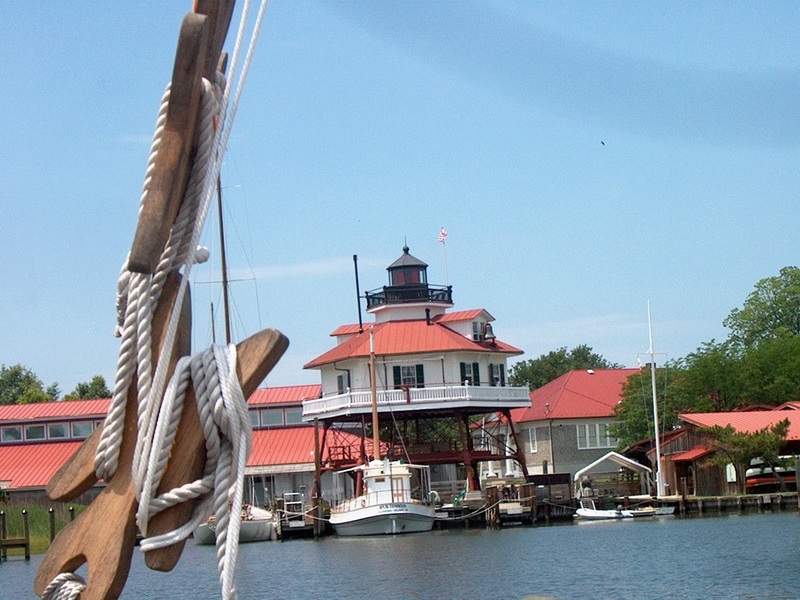 We also have a small "push boat" (it worked for skipjacks) "Ihor's Chaika" which we are testing for longer voyages up and down the Chesapeake Bay. 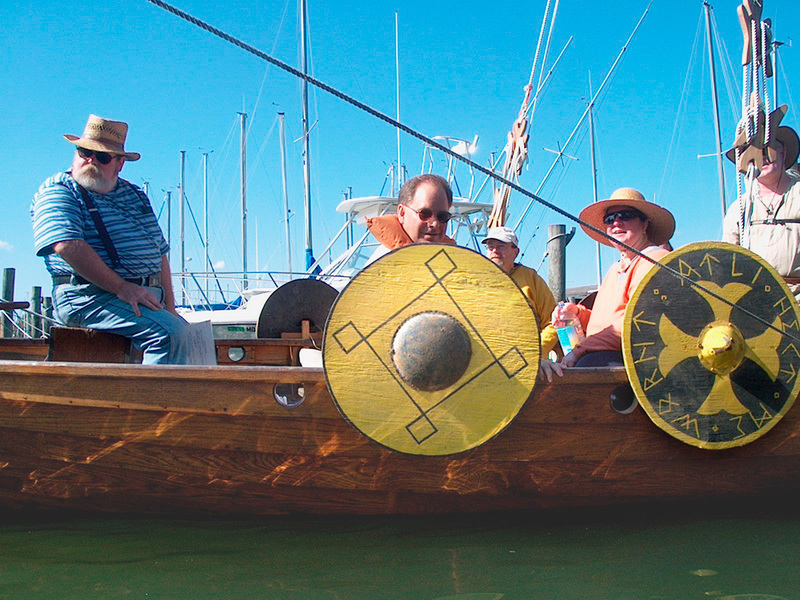 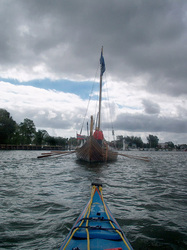 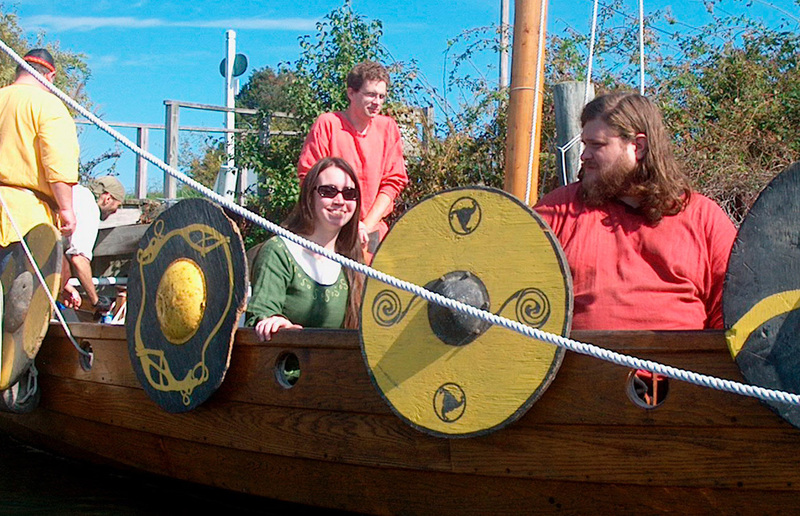 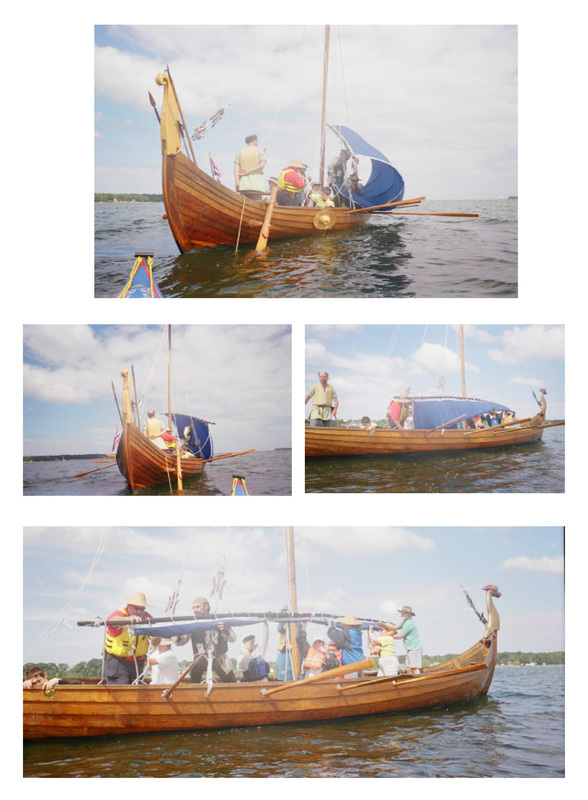 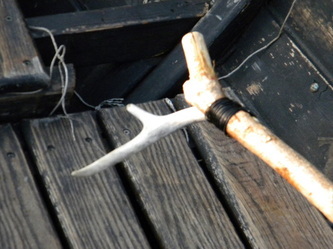 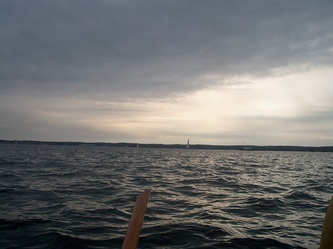 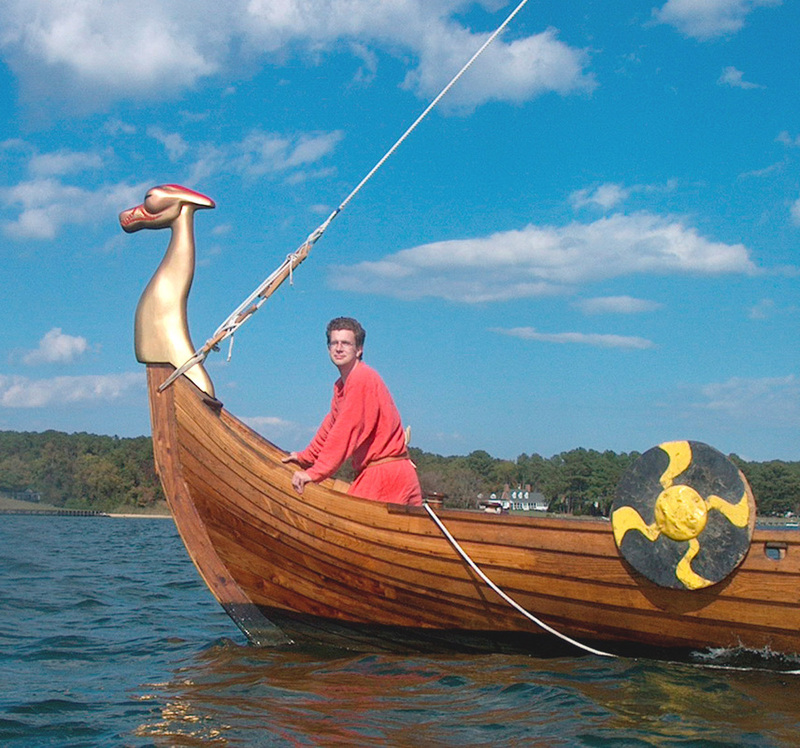 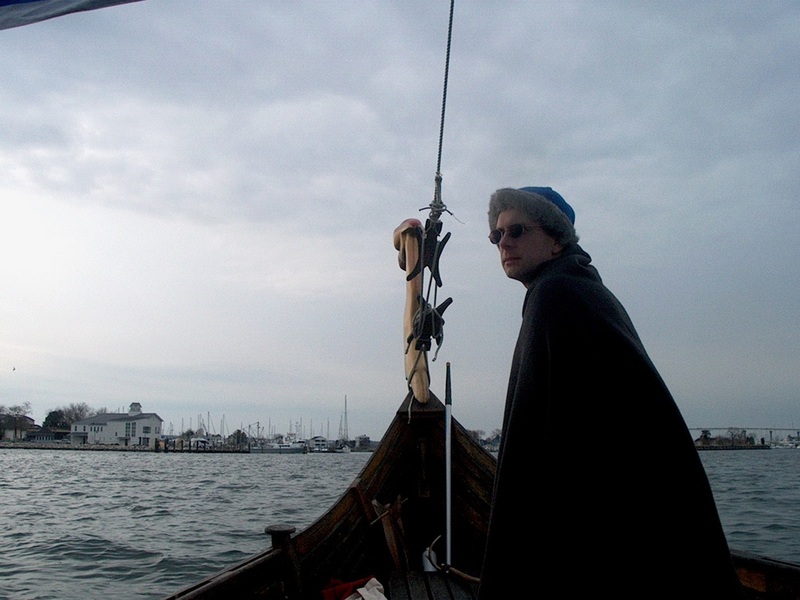 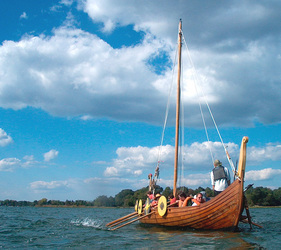 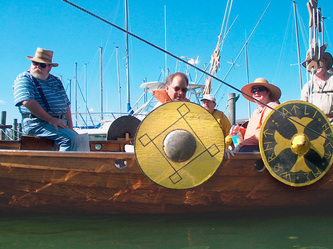 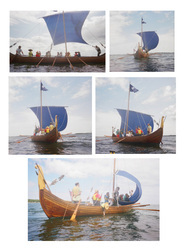 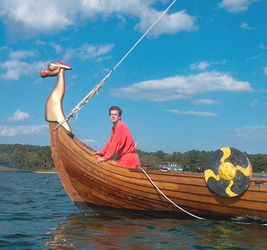 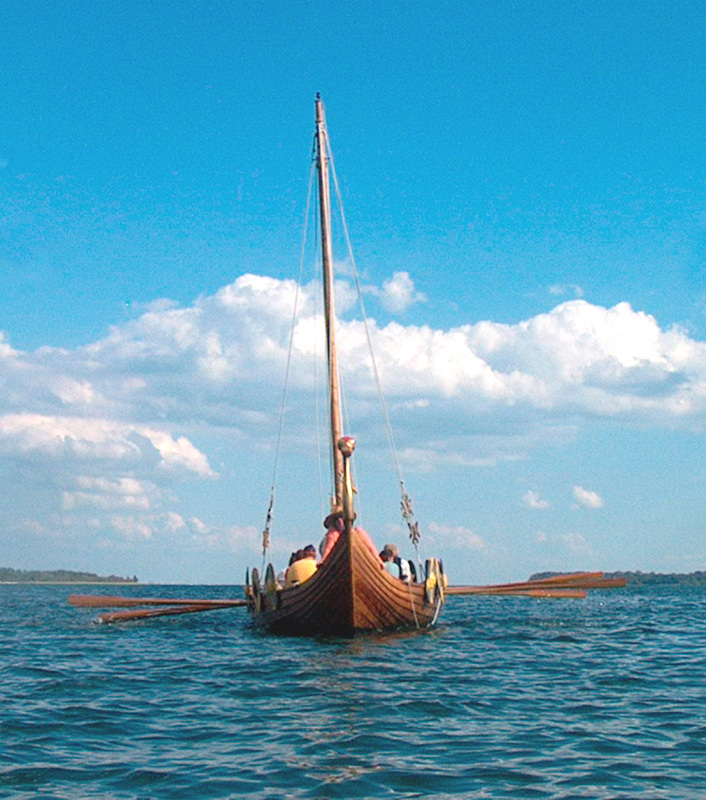 The Longship Company encourages all and sundry to come out and have a row with us: our brains are stuffed with knowledge of the Viking Age, other bits of history, Monty Python trivia, bawdy sea chanties, and experience gained from "archaeological sailing" (hey, what happens if we do this...?). 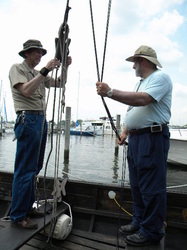 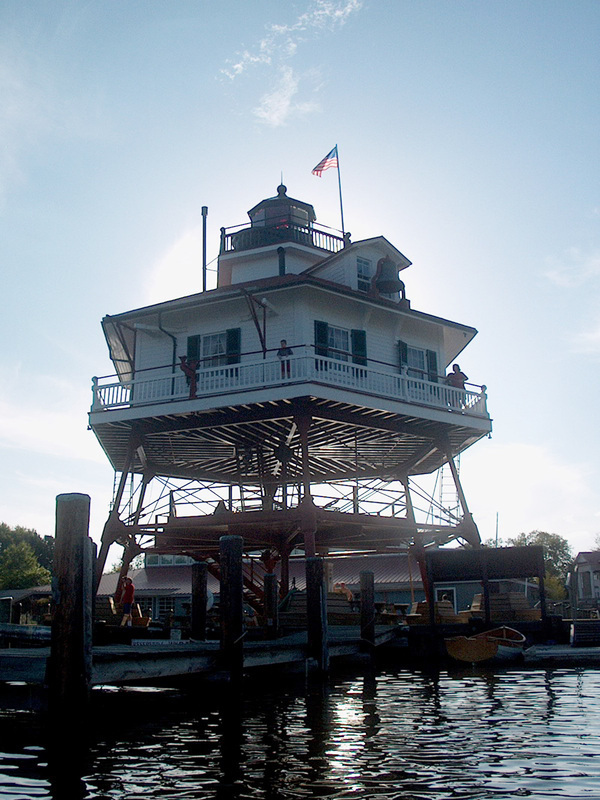 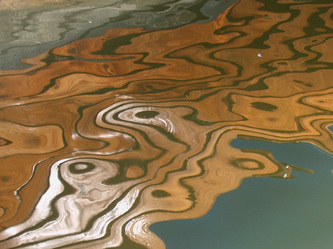 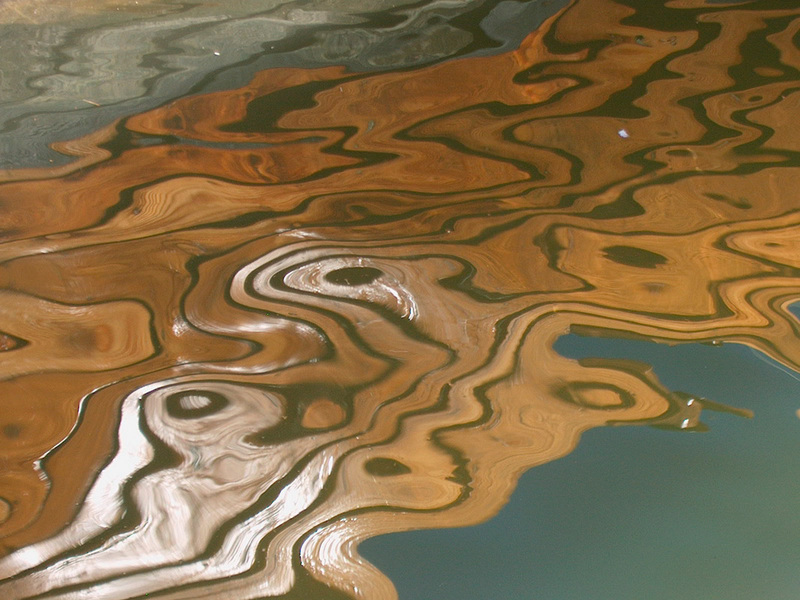 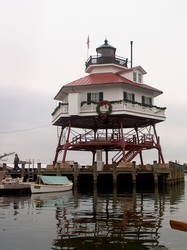 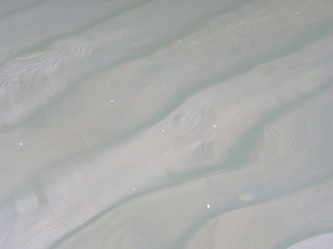 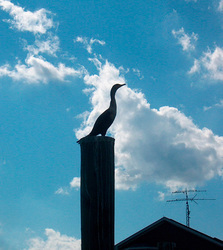 We do follow modern Coast Guard regulations, and have approved and skillful captains. 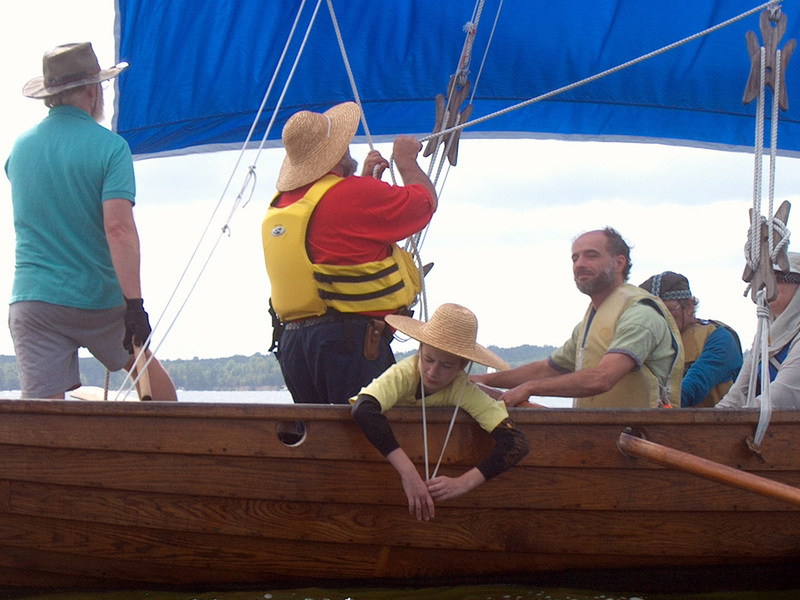 For a look at our adventures: check these PDFs...and, if you sail with us, bring a PFD, or borrow one of ours.